These poisonous plants are all over the area, especially where I went hiking through the gorge outside of Mesquite. This entry was posted on September 18, 2010 by michellestodden. 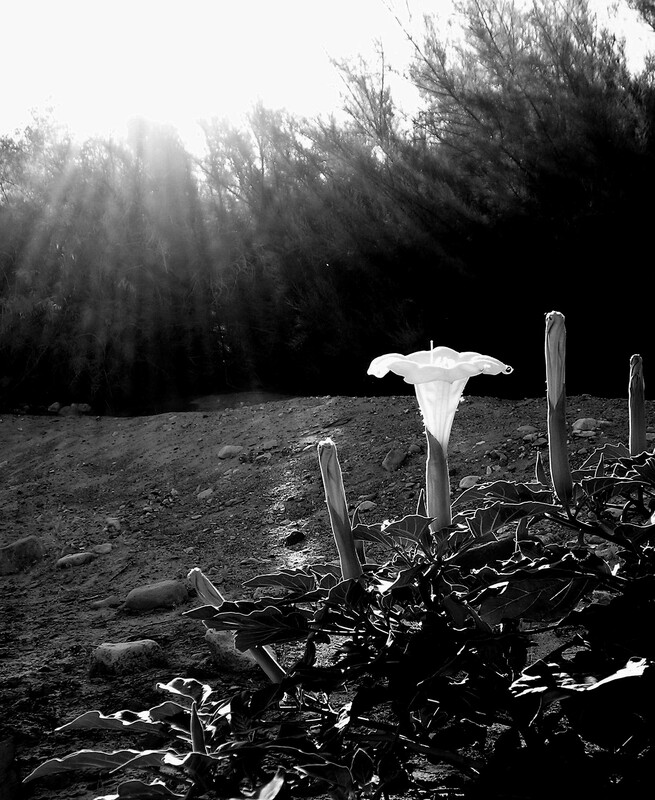 It was filed under Photography and was tagged with Photography, poisonous plant, sacred datura.